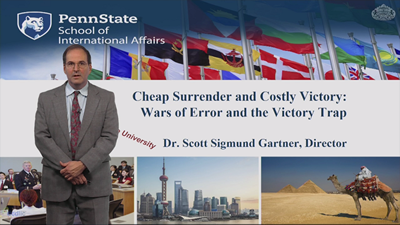 Cheap Surrender and Costly Victory:Wars of Error and the Victory Trap by Scott Sigmund Gartner. Professor of International Affairs and holds Affiliate Professorships in both the Department of Political Science and the School of Law. 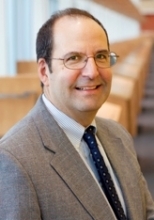 A scholar of peacemaking,politics,gender,identity and conflict,Professor Gartner’s research focuses on dispute mediation,national security,identity formation,gender and policy assessment. Professor Gartner teaches classes in conflict management,international affairs,national security,foreign policy and research design. Prior to joining Penn State,he directed the International Relations Program at the University of California Davis,where he was a Professor of Political Science and Director of the Minority Politics Research Cluster.